This page contains information about your account at WP Fortune. That’s too bad! Have you tried to reset your password? Still no luck? Contact us so we can have a look at it and make sure you will be able to log in again. 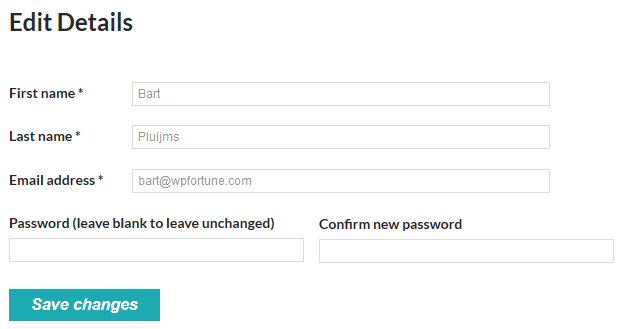 Need help resetting your WP Fortune password? Here are some instructions. If you have lost your password you can always request a new password from our site. You’ll receive a link to create a new password via email. Login to your account to change your password in a new password. For security reasons we can’t send you a new password. Please follow instructions above. Really? Are you sure? Do you really want to lose all the power of WP Fortune? OK! If you’re sure, contact us so we can delete your account.